I’ve spent the past week dealing with stomach issues and 3 of those days I barely made it out of bed. I have a history with IBS but over the past year it seems to have worsened. I hope to visit with a specialist soon so till then I’m keeping my eating pretty simple until I can figure out what works and doesn’t work for my body. Smoothies, particularly this PB&J one may become my new best friend. I’ve always loved the combination of berries and peanut butter? With two little ones in the house peanut butter and jelly sandwiches are a staple and I find myself eating this childhood favorite more than I care to admit. 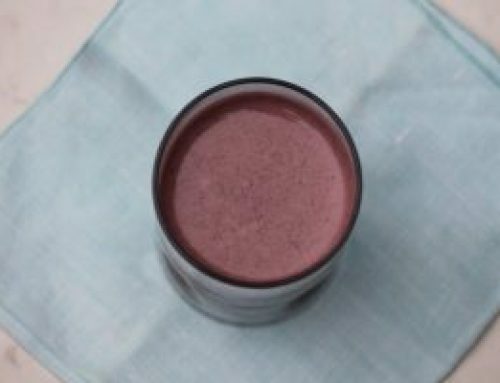 This smoothie is a replication of the classic sandwich, without the bread. 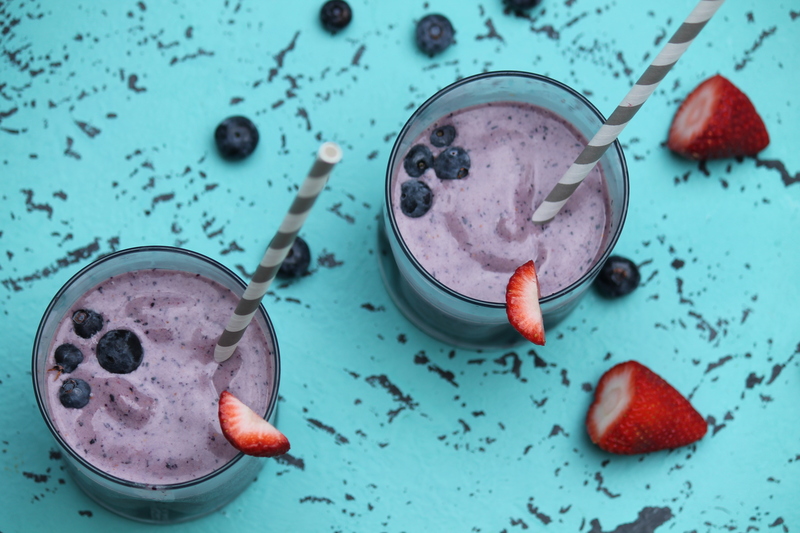 I chose to use frozen berries here because of the creaminess frozen fruit adds to smoothies, but you can certainly use fresh especially now they’re in season. 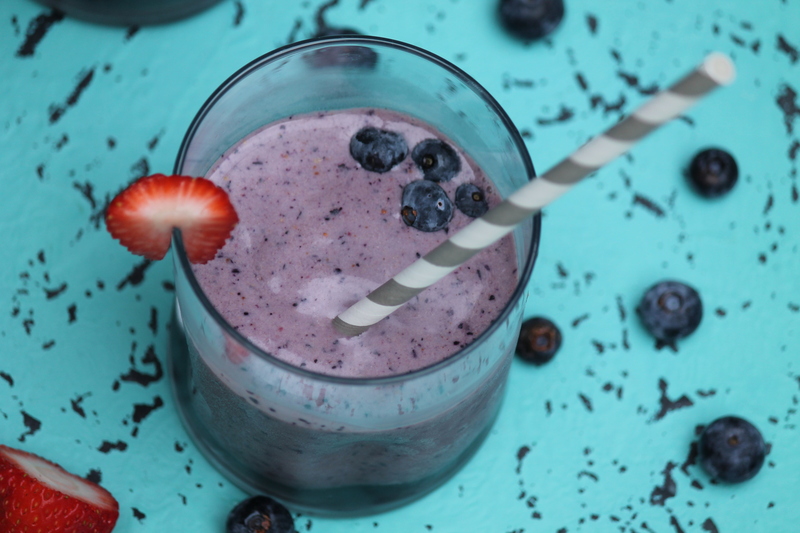 Whenever Peanut butter and berries unite your almost always guaranteed a crowd pleaser and this smoothie is no exception. 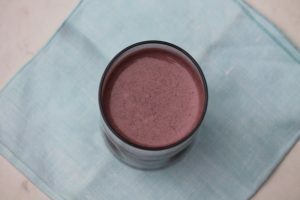 It’s perfect for breakfast or as a snack and it will make a great refresher after being outside during the hot summer months. 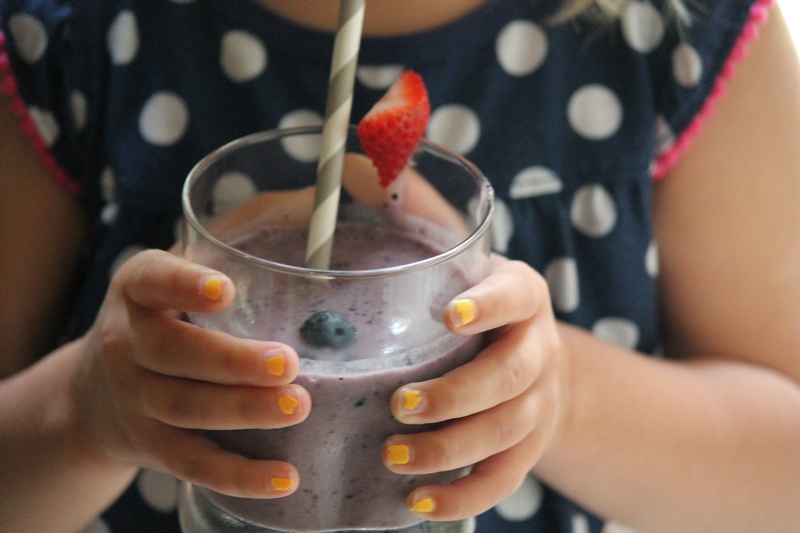 This is my kind of smoothie!